Throughout the coming school year, you will endure some of the best moments of your life. You’ll create relationships that will last a lifetime, take classes that will open you up to new ideas, and get involved in clubs and extracurricular activities. Likewise, hardships will occur in as many ways possible, but Aquinas College does an excellent job allowing students to find and use their voices. A major component to student representation here at Aquinas can be found in hands of those members who make up the Student Senate. Unlike the high school student senate you might be acquainted with, which probably consisted of planning events and programs, the AQ Senate strives to enact policies that better the overall campus and the lives of its students. There are several committees that directly link with the Senate’s mission, including the Traffic Board, which reviews appeals for traffic citations with the help of Campus Safety; the Commuter Committee, a group of senators and non-senators alike that promote a commuter-friendly campus; and the Budget Committee, which consists of weekly meetings that discuss the allocations of Senate’s funds . Although a great deal of politics make up the Senate, students do not need to be studying political science to be an active member. Zoë Collenburg, a junior, pursuing a dual major in English and Communication with an emphasis in Theater, was elected Vice-Chair in Spring 2015. Collenburg’s Senate experience began when she first came to AQ from Texas. As an out-of-state student, she grew to adapt to new changes by getting involved in on-campus clubs and organizations. Another eager member whose Senate experience started early on in their college career is senior Chairperson Jake Eccleston. Studying Community Leadership and Communication, Eccleston began as a first-year senator, representing his class along with four other students. As Executive Committee members, Collenburg and Eccleston both play key roles in representing Aquinas. Collenburg takes charge as a liaison for many student affairs departments, including Campus Life, Residence Life, Campus Ministry, and Career and Counseling, among several others. She also runs the RSO (registered student organizations) Assembly, which meets in Donnelly Center biweekly to discuss the functions of on-campus student organizations and how they can be improved upon. Chairperson Eccleston shares duties with Collenburg, as well as leading the Senate in making decisions that better student needs. In addition to the Executive Committee, consisting of a chair, vice-chair, and secretary, Senate also appoints budget and academic affairs directors. Five senators are also chosen from each class, who are available to hold frequent office hours for students from their respective grades to see that their concerns and needs are met. The realm of Senate is constantly changing as new traditions are being implemented. In the spring of 2014, a conference was put into action called the Leadership Plunge. The plunge focused on enlightening students on the importance of being a leader and how having a title isn’t always a necessary component to leadership. After an array of sessions consisting of interactive teambuilding and speakers, participants reflected on the topics covered that day. The Leadership Plunge is sure to continue in the coming years. Another growing mission Senate is dedicated to is the Research Fund, founded in 2008 to provide AQ students with funds to do extensive research, on and off campus. Since its conception the fund has supported many students whose research areas range from from a variety of disciplines. Senate festivities kick off on August 21, where applications for first-year students will go live on Senate’s website at http://www.aquinas.edu/students/senate/. Following on August 26 will be the first Senate meeting of the year in the Donnelly Center at 3pm, and it is where interested applicants may go to get a taste of how it works. Elections will be held from September 11 through 15. The elected senators will go on a mandatory Senate retreat on September 19, from 9am to 1:30pm. The AQ Student Senate has encouraged many to represent the school body. Here’s your chance to #findyourvoice. 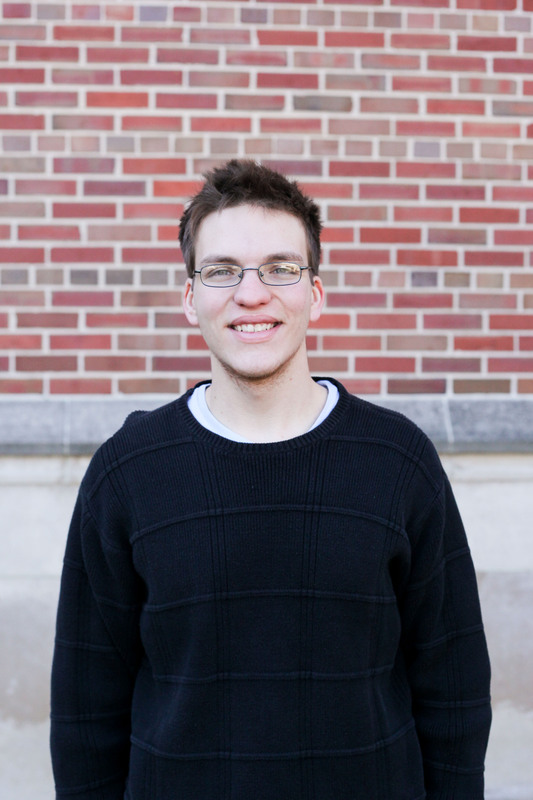 Chucky Blackmore is a senior studying English and Education, with a minor in ESL. Other than being The Saint’s News Editor, Chucky is also a Resident Assistant in Hruby Hall and plays lead guitar in Grand Rapids based band, Velcrofibs.